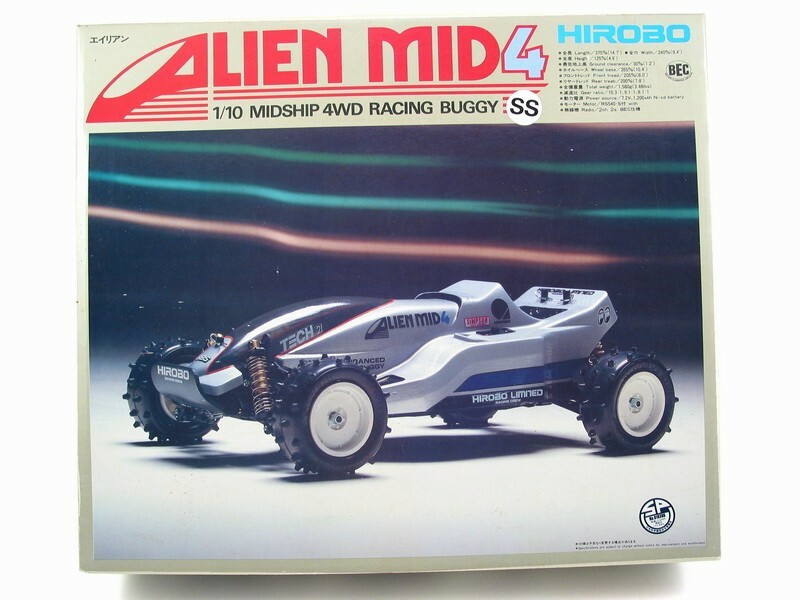 What has been everyones first rc car? 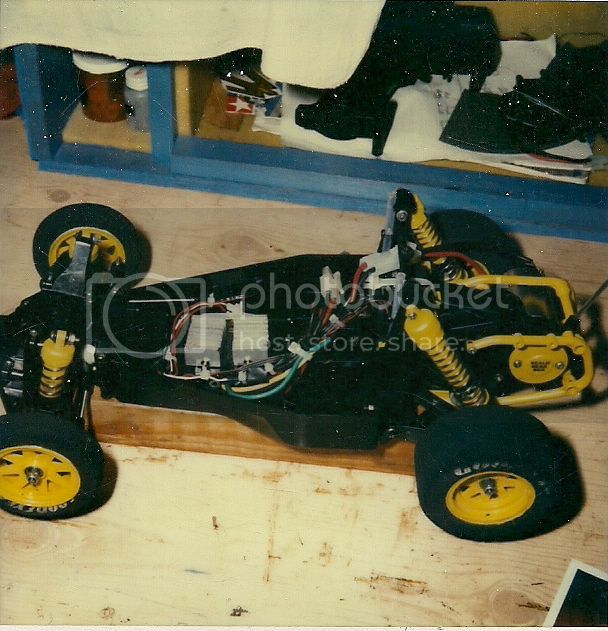 I think I was 10 or 11 and it was a tamiya super champ!that thing must have weighed 10 lbs. Last edited by golgi; 01-16-2013 at 04:48 AM. My first was a traxxas sledgehammer about 15 years ago. old rustler with the stinger motor! with the mechanical esc! Find More Posts by LETSDRIVE!! 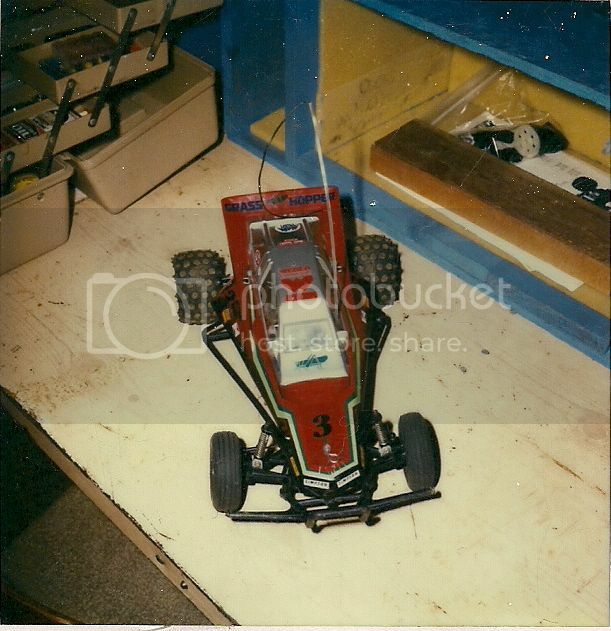 First RC car had to be a Tyco turbo hopper! Still on the shelf in my room at my parents house...lol. Then came the BIG WIG! Checked out the first and last page of this thread, and these guys had the same cars I did. Tyco Turbo Hopper is my first rc. Fires "real" rc were Tamiya Monster Beetle and Boomerang shared between my brother and I. Our neighborhood used to hold races in the crappy track we built in my parent's backyard. They had a grasshopper, fox, wild willie, and lunch box the good ole days. My first nitro was a Kyosho Rampage. 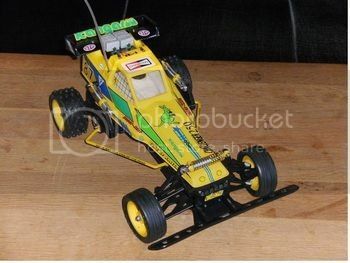 first rc was an associated nitro tc3 back in 2003. i had pictures on my myspace but myspace recently turned into a music site so those pics are gone. edit: i should say, the ntc3 was my first hobby grade rc. i had some radio shack and walmart cars growing up but i usually broke all those then threw them out because you couldnt replace parts. Schumacher Club 10 in touring car spec, still got it although it's in dire need of a rebuild. Hmm, thought I had posted in this one previously. Took a long time to find one but finally stumbled across a new unit that hadnt been finished. Snatched it up for $35 if I remember correctly and it sits up on a shelf with a myriad of other old resto projects I have. The Panda for the win. ditto, my first 'kit' as well... oh the memories.. i think at the time my favoite feature was the pop-on hubcaps..
My first one was a Lunch Box. Then sold it and got a gold tub RC10. Followed by an Academy Rockbuster, which is essentially a Tamiya Grasshopper. The second pic is the actual car with the lexan Grasshopper body fitted. All times are GMT -7. It is currently 09:58 PM.